Bathroom remodeling is one of the most popular choices for those who are doing renovation projects to increase the value of their homes or just to make them more attractive and comfortable. At NYC Interior Remodeling, we offer professional results that exceed those of other remodeling companies, and at reasonable costs. Our knowledge of very simple to highly advanced projects makes us the ideal choice for a wide range of residential and commercial applications. We hire only the most skilled professionals who will produce the results with which you will be completely satisfied. Our experience gives us the resources we need to create a project that will meet or exceed your expectations. If you want bathroom remodeling in NYC that will increase your home’s value and give it a more modern appearance, we are ready to meet your demands. Our bathroom renovations create spaces that are more comfortable and functional, fitting your lifestyle and budget. We perform all aspects of remodeling your bathroom including plumbing, electrical and lighting. For simple bathroom alterations, we focus on using modern and energy efficient fixtures, efficient cabinetry and better usage of lighting. 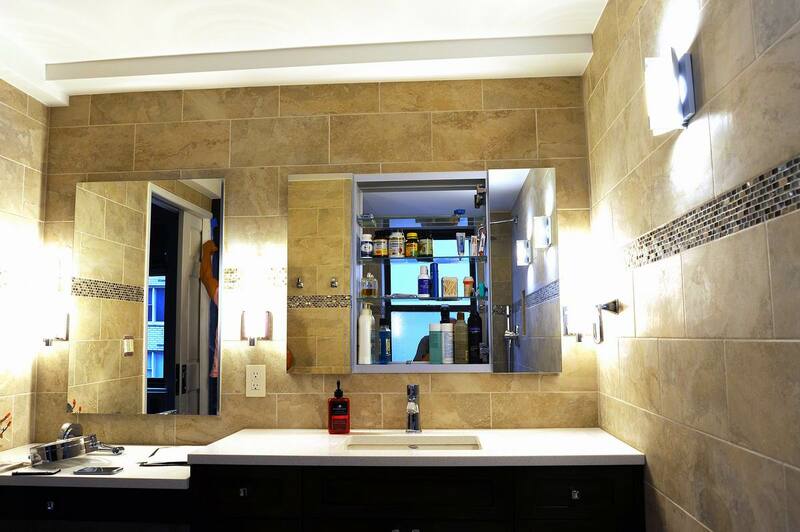 Whatever the scale of the renovation, we can assist you in creating a custom bathroom. Whether the remodeling job you have in mind is simple or advanced, we have the skills and knowledge that will dramatically change the appearance and comfort of your bathroom. Contact us and schedule your free consultation to get started on transforming your bathroom. As expert bathroom remodelers, we will guide you through the process from start to finish. We can help you with envisaging and selecting the bathroom design that best matches your personal preferences. We offer everything from a simple fixture replacement to a completely new bathroom remodel. We guarantee your satisfaction with the services we have to offer. © Copyright 2014 NYC Interior Remodeling. All rights reserved.